Technologies used: Hardware: GPS watch, digital camera. Software: Google Earth, WordPress, Garmin software (allows seamless connection to Google Earth). When posting an altitude profile, Jeff does a screen shot off of the Garmin software and pastes it into MS Word. Then he uses a shareware program called “Doc to Jpeg Converter” and crops it with Microsoft Office Picture Manager. Assistance received: Not much was needed! Jeff figured this out by himself, while watching the Red Sox on summer evenings. He has had conversations with Joe Antonioli (Manager of Web & Interactive Digital Media Technologies), and Carrie Macfarlane (LIS liaison) about getting an analytics tool installed (technical issues are still being resolved). The Addison Independent rebroadcasts the blog from their newspaper web site. 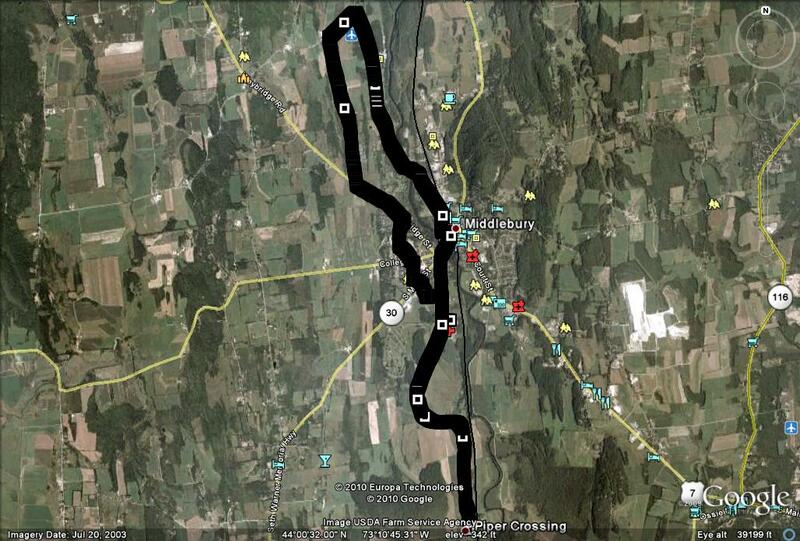 The blog tracks Jeff’s trail-running adventures in and around Addison County. For each run, Jeff posts a map of his route, a chart showing the altitudes he reached, photos and a written narrative. Running is just a hobby for Jeff, but these technologies have potential curricular applications, from biology and environmental studies, to writing, to art (see for example The Big Draw of the GPS Run!). This entry was posted on May 13, 2010, 11:07 am and is filed under Biology, Blogging, Collect & Capture, Connect & Participate, Economics, Environmental Studies, Geography, Geology, Interactive, Knowledge, Location-Based, Political Science, Share. You can follow any responses to this entry through RSS 2.0. You can leave a response, or trackback from your own site.